Unifor recognizes May 17 as the International Day Against Homophobia and Transphobia. Every individual has the right to dignity and respect at work, in the union and in the community. 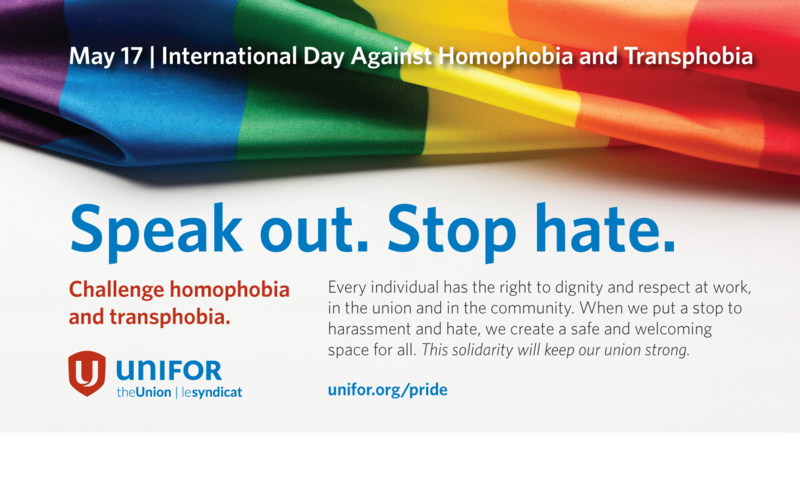 When we put a stop to harassment and hate, we create a safe and welcoming space for all. This solidarity will keep our union strong.